The 7 times table is often the hardest to learn, but don't lose heart – educator John Bald has specific tips and a step-by-step learning plan to help you help your child master it. 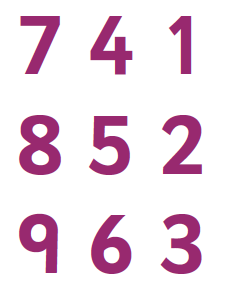 The 7 times table is the hardest to learn because 7 is a prime number, and so the final digit does not repeat itself until 10x7. 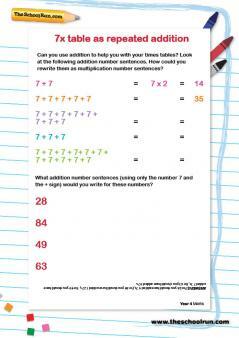 The 3 times table offers the same challenge, but is less difficult to learn because the numbers are smaller, so don't usually involve number changes in both the tens and units columns (in fact, only 4x3 = 12 and 7x3 = 21 do so). 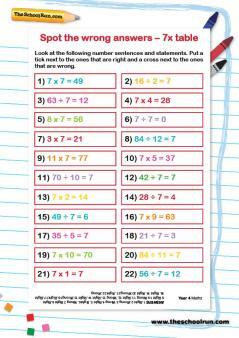 Arm yourself with your times tables learning aids – and make sure your child is confident with the 2, 3, 4 and 5 times tables. Start by explaining why 7s are more difficult, and then say the table slowly, inviting your child to join in, but not requiring it. Ask if they'd like you to do this again. Then try the paired table approach (saying the table out loud at the same time as your child), going very slowly and giving your child every opportunity to catch on. A judgement call from here on in, but I usually then use the paired approach to 3x7, then start from the beginning and go to 5x7. If it sticks, great – if not, go back and build up carefully. Complete the second part of the table once the first part is secure. 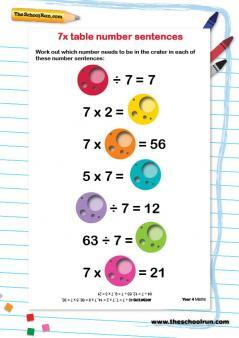 The 7 times table is likely to take more practice than the others; as long as the 2 times table (the foundation of all multiplication tables learning), the 3 times table and the 4 times table are in place, though, children can usually learn it in ten days or so. This gives the final digit of each item in the table in order. 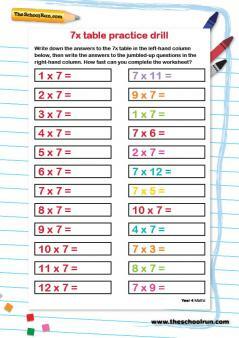 Alternatively, write down the numbers 1 to 9, and cross each digit out as it appears in the units or ones column in the 7 times table answers. 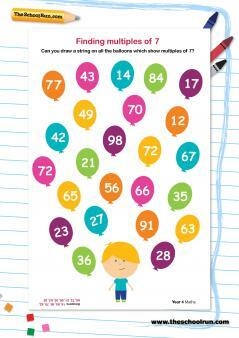 This reinforces the idea that the final digit does not repeat itself. 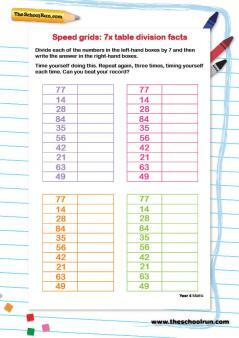 If 7s don't come easily, have your child write out what they know, and complete the table. Then see if they can write the elements they did not get first time round. 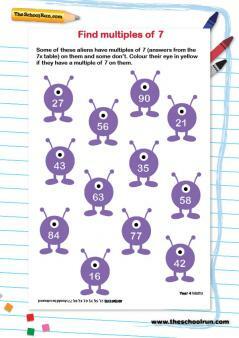 Use either 5+2 p coins to make a unit of 7 to build the table physically, or Numicon if you have it. 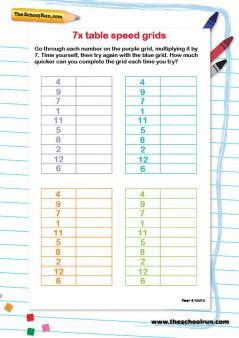 You could also cut out squared paper into 7s, and use these to build up the table and count the squares. 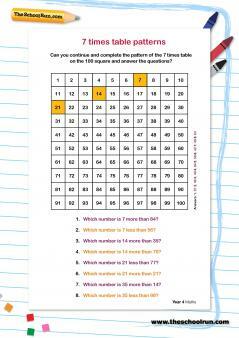 For a selection of 7 times tables worksheets and printable games see below.